Microsoft Power BI is an analysis tool that allows you to create powerful data visualisations – it’s like Excel on steroids. The BI stands for Business Intelligence and it’s used by many large organisations to help them understand their data. 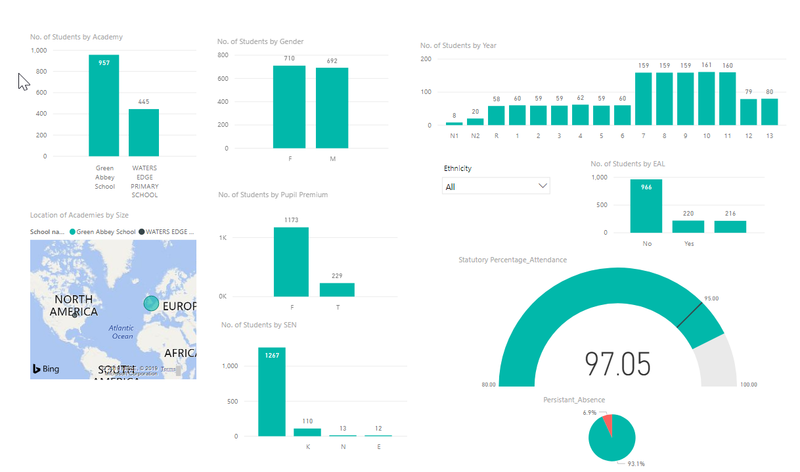 Power BI has been around for a few years and some schools have already been using it. As an analysis tool, it’s very easy to create graphs. The hard bit is exporting the data from SIMS and getting it in the right format to be used in Power BI. 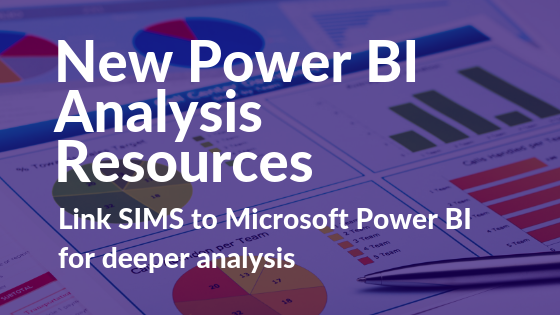 But just before Christmas, Capita released a set of batch files and SIMS reports designed to make the process of exporting from SIMS and importing into Power BI much simpler. Capita are calling the resources ‘SIMS Consolidated Reporting’ and they include routines to extract data from primary schools, secondary schools and MATs. The MAT version of the resources extracts data from each school in the MAT and allows you to create analyses that span every school in the MAT. The analyses can also be amended to include your school’s own assessment data. The routines even allow for a degree of automation, so schools can update their analyses on a nightly basis. I haven’t had time to fully test the resources yet but I thought the initiative was very promising, so I wanted to let you know. You can read Capita’s blurb here: https://www.capita-sims.co.uk/sims-consolidated-reporting. At the bottom of the page you’ll find a link to a recorded webinar by Capita’s John Christian which is highly recommended. Once you have expressed your interest, Capita will send you a link to the resources and you can download them. The great thing is there’s no charge for the SIMS resources. Microsoft Power BI desktop itself is free and downloadable now from Microsoft. If you just want to print out the finished analyses (or save them as a PDF), there’s no cost at all. However, publishing the report in its full interactive online form does require a license. You can either a) purchase this Power BI license as part of the top tier Education Office 365 license (for which Microsoft charge £7 per user per month) or b) you can purchase a special education license for Power BI only for £1.70 per user per month. Either way, it’s not an expensive option. Personally, I’m learning all I can about Power BI – there’s lots of information online. I’m also learning as much as possible about data visualisation – because many people think data analysis in schools needs to improve – and Power BI will give us access to better, more powerful analyses. You can download a fully working demo with instructions from MyAccount. For those of you without access to MyAccount I have provided access to a copy of Capita’s file here. Remember that this copy will not be kept updated and therefore you shouldn’t rely on it being the most up to date version – ask your local support unit for a password to MyAccount, or use the online application for a MyAccount password. UPDATE 1: I’ve added some direct links to the zip files in MyAccount in the comments below this post. Also, many thanks to John Christian for updating me on the Microsoft licensing options. UPDATE 2: Note that the resources from Capita are focused on helping schools extract their data and don’t include specific Power BI analyses – you have to create your own analyses from scratch – but Capita have also released example Power BI reports that you can copy. 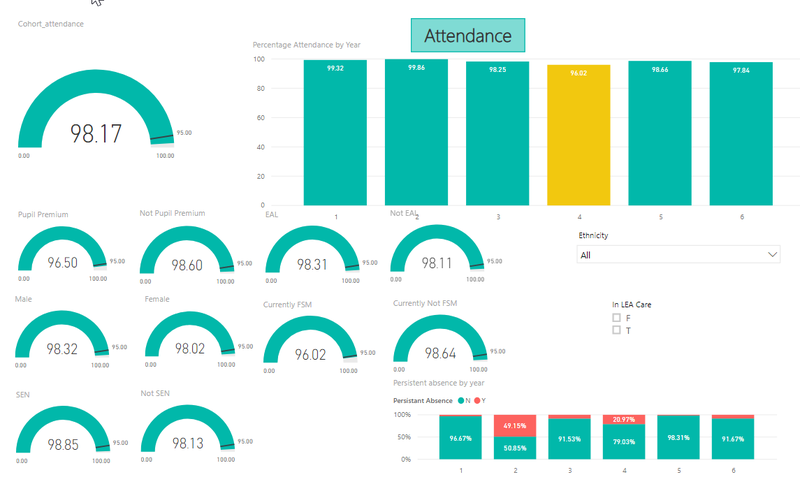 UPDATE 3: I’ve released a free SIMS and Power BI course to help you get to grips with the key concepts of Power BI in a SIMS school. I recommend that you take the course before trying to implement the SIMS Consolidated Reporting resources. Did I mention it was free? I’ve logged on to MyAccount but can’t see where Capita have put teh files – can you enlighten me? I can no longer see the webinar by John Christian regarding setting up Power BI – is this still available?